Hammer was born November 17, 1964 in Isoka in the Northern Province of Zambia. He is the oldest in a family of six. He is married to Queen Kasonde Chilufya and they have four children and also have raised two AIDS orphans. Hammer's father was a medical practitioner at Christian rural clinic ministries. Hammer was named for the first Secretary General of the United Nations, Mr. Dag Hammerskjoeld who died in an airplane crash near Hammer's village near the time of Hammer's birth. Between 1986 and 1988 Hammer attended the Zambia College of Agriculture earning a Certificate in General Agriculture. From 1988 to 1991Hammer earned a Certificate in Tropical Agriculture from the City and Guilds of London Institute, Lusaka (Zambia). 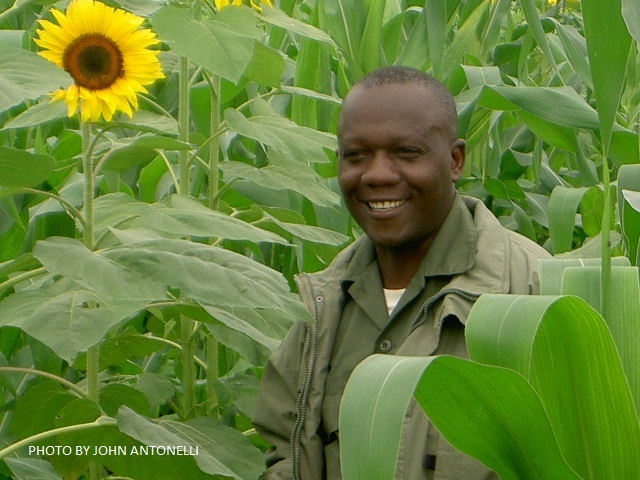 He then worked as Assistant Farm Manager at the Lukomba Farms between 1992 and 1994. Hearing of the rampant poaching of wildlife and the devastating affects of poaching on the people of North Luangwa, Hammer approached Dr. Delia and Mark Owens in 1994 for a position with their North Luangwa Conservation Project (NLCP) based in Mpika, Zambia. Hammer's background in agriculture made him perfect for the position of Agriculture Development Director for NLCP. Working with American volunteer, Alston Watt, Hammer took the Owenses' rural agriculture program to new heights by convincing farmers to embrace improved agriculture techniques to expand their crop variety (including protein rich legumes, cereals and tubers) and to enrich the soil (through green composting, organic pest control and such) and to protect the soil from erosion. All of these efforts lead to improved nutrition and income for the people. Thanks to the combined efforts of the Owenses' NLCP: Agriculture, Small Business Development, Rural Health, Conservation Education, Wildlife Research and Ecological Monitoring, support for Anti-poaching and Tourism Development, the local people had improved quality of life and no longer had to poach or cooperate with commercial poachers in order to survive. Elephant poaching went from 1,000 a year in North Luangwa National Park (more than 100,000 elephants were killed in the Luangwa Valley between 1975 and 1990) to none found dead in 1994. Poaching of all kinds remains controlled and black rhinos have been reintroduced into NLNP by the Frankfurt Zoological Society and other funding organizations. 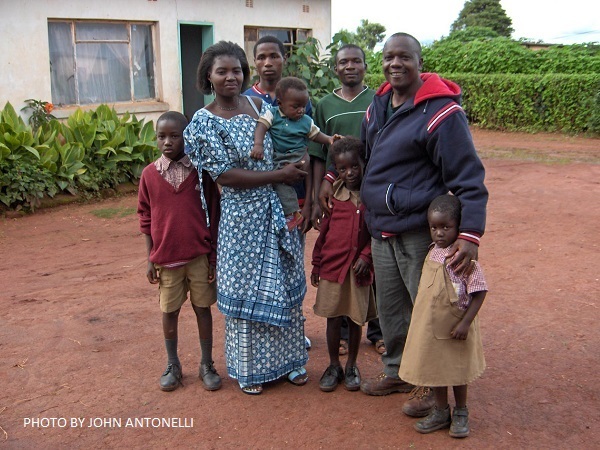 When Delia and Mark returned to the US to live and work in 1997, Hammer and his coworker at NLCP established their own non-governmental organization, the North Luangwa Wildlife Conservation and Community Development Programme (NLWCCDP) to continue the Owenses' work. From the ground up they developed their organization and attracted funding from the US based Owens Foundation for Wildlife Conservation, UK based Harvest Help and they have recently received a substantial grant from the European Union. They have expanded their work from the original 14 villages to 65 rural communities with 35,000 people that now have assistance with improved agriculture, small business development, clean water and reforestation programs and improved education. Some of the programs of Hammer's organization beyond agriculture include: building schools, installing fish farms, beekeepers, sunflower oil pressmen, mercantile shop keepers and developing chili pepper cultivation for resale and to locate adjacent to fields to prevent crop raiding by the recovering elephant population – and much more. Hammer and his work were included in the September 2005 edition of National Geographic and as an outgrowth of that article, Hammer was brought to the US to speak before a capacity crowd at the National Geographic Society Headquarters in Washington, DC. He is also featured in the Encyclopedia Britannica, in TIME magazine, The New York Times the Zambian Economist, Wikipedia and others. In 2008 Hammer was honored by the National Geographic Society with their Emerging Explorer Award. He has been featured on the BBC, on US National Public Radio and is also featured in an up coming documentary by John Antonelli of the Mill Valley Film Group, "Unfair Game: The Politics of Poaching" which will be released in late 2013. Hammer has received numerous invitations to speak at conferences and meetings all over the world. Hammer receives the Goldman PrizeHammer was honored as a recipient of The Goldman Environmental Prize for Africa in 2007 which recognized his successful work to save wildlife by helping local villagers achieve improved quality of life so that they do not have to poach wildlife in order to survive. The Goldman Prize is the world's most prestigious environmental prize which each year recognizes one grassroots environmentalist from each of the six inhabited continents with a substantial cash award and promotes their work worldwide. As an outgrowth of the Goldman Prize, Hammer established a new NGO, The Foundation for Wildlife and Habitat Conservation – Zambia (FWHC) based in Mpika, Zambia in order to continue wildlife centered rural development work in remote areas of Northern Zambia. You can watch the Goldman vodeo covering Hammer's work by clicking on the link to their site. Chairman for Mpika District Street Children Committee . Hammer was employed by the Owens Foundation In Zambia. Delia and Mark Owens are his friends, supporters, and mentors. "Simwinga's projects have reduced child mortality"